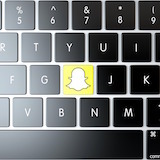 Snapchat has over 170 million daily active users and 10 billion daily video views. It’s a massively underestimated social network. It has remained among the top five apps on the AppStore for a long time. On Snapchat, content disappears—it’s not permanent, and this makes it very special. That’s why Snapchat is the best platform to start on: because you can show your imperfections, you can make mistakes, and no one will remember it. You can post your throwaway content. Hack the culture—Snapchat is truly a test of your branding powers. You don’t have hashtags or ads there. The only way to succeed is to be great with branding. To be strong on Snapchat, be strong on other platforms as well. It’s about getting traffic from Youtube, Facebook, or Instagram. People cannot discover you through Snapchat. Write multiple blog posts about Snapchat. Pay for a Google Ad that asks something like, “Who should I follow on Snapchat?” and offers a list of names, with yours at the top.